Of all the vehicles that my Dad had the SuperCat Cougar is right near the top of my favorite list. Why? Well…it’s a Cougar. That body style was pretty unique for the time period. See below. 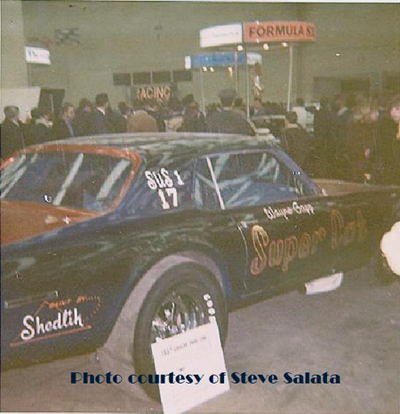 This image is probably from one of the ‘Autorama’ shows that is held at Cobo every year. The vehicle was powered by a Ford 427 Cammer. Now, I happen to have a soft spot for the Cammer engine for a variety of reasons. Previous PostBoss 429 powered Mustang Funny CarNext Post1973 Pinto video – United States Racing Team match?